With this kit, one of the important chemical detection methods: spectroscopy is employed. Various test chemicals are provided, along with wire loops and a spectroscope. The only thing lacking is a bunsen burner. The kit has enough material for 50 students. With this kit, students will create pollutants as well as employ methods to treat and remove them. The effects of pollutants on metals and plants is also covered. Its an excellent way to show how pollution effects our everyday lives. All items are included but an overhead projector will be required for some of the teacher’s transparencies. Interested in more Classroom Chemistry Products? UPDATE 6/23/14: In early 2014 the Beetling company stated they had to move their studios to a new location. After several months they have not returned to operations, have barely answered their email, had no updated to their Facebook page, and now their main webpage would appear to be defunct. With this in mind we are assuming that they are now out of business and no longer producing 3D Wall designs. Note that we have broken the links to the Beetling products due to the endless number of ‘Do you still have these?’ queries. The answer is: No, we do not. Beetling Wall decorations are individually casted and painted three-dimensional wall mounted works of art, suitable for any child’s space. They are easily installed onto walls and create a great sense of fun for that room. Beetling 3D decoration castings are made of signature Designer Blended Foam, a non-toxic and child safe material that is extremely light-weight and durable. We paint with Low VOC, child-safe water based paints and finishes. Beetlings are very easy to install and each piece comes with step-by-step instructions on how to install them to any wall. Your 3D wall art piece can be ready in minutes in most cases as only a few screws are needed to hold it in place. If you need to move, the Beetling pieces uninstall as fast as they install. Beetling has several series, including Dinosaurs and Safari, but in this post we shall be looking at the Beetling 3D Solar System. Complete with planets, astronaut, and our Moon! There are 9 planets….ok, 8 planets and Pluto – give them a break they designed this thing before Pluto got downgraded. There is also the Moon. The planets, Moon and Astronaut can be arranged any way that fits you wall. A bit generous of a ring, but it gives it a ring of detail and authenticity. 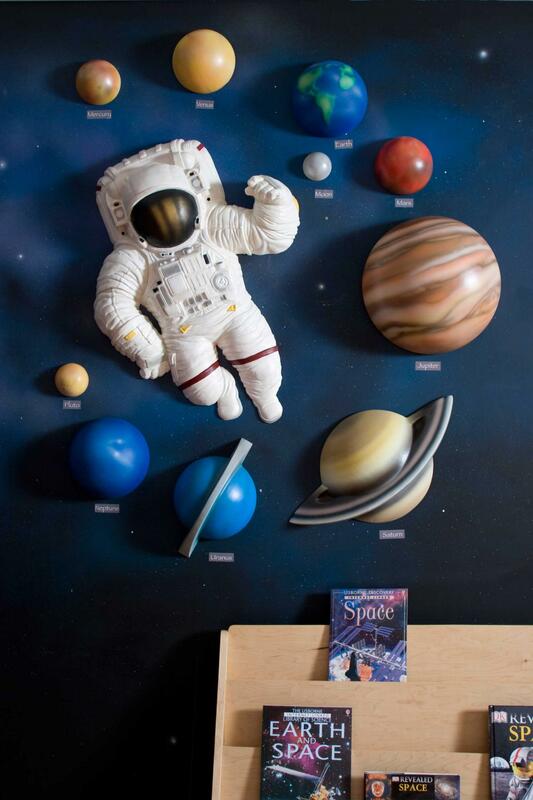 In addition to the Planets, Pluto, Moon and Astronaut there is also a detailed instruction sheet on how to paint the wall in that “Outer Space” scheme with comets, whisps of Nebulea, and other celestial objects. It give a real flair to the atmosphere of the set. Paint is not included but is not hard to obtain. Want to buy Beetling 3D Solar System Wall Decorations? UPDATE 6/23/14: In early 2014 the Beetling company stated they had to move their studios to a new location. After several months they have not returned to operations, have barely answered their email, had no updated to their Facebook page, and now their main webpage would appear to be defunct. With this in mind we are assuming that they are now out of business and no longer producing 3D Wall designs. Links to products have been broken to prevent confusion. The other member of the pair is the Stegosaurus, who stands 44.5″ tall and 47″ wide. Together with the Brachiosaurus they make a really impressive display! Want to buy the Beetling 3D Brachiosaurus? Want to buy the Beetling 3D Stegosaurus? This is the story of a little toy frog. The toy was called a Mirascope. The when the top mirror was on, something amazing would happen! 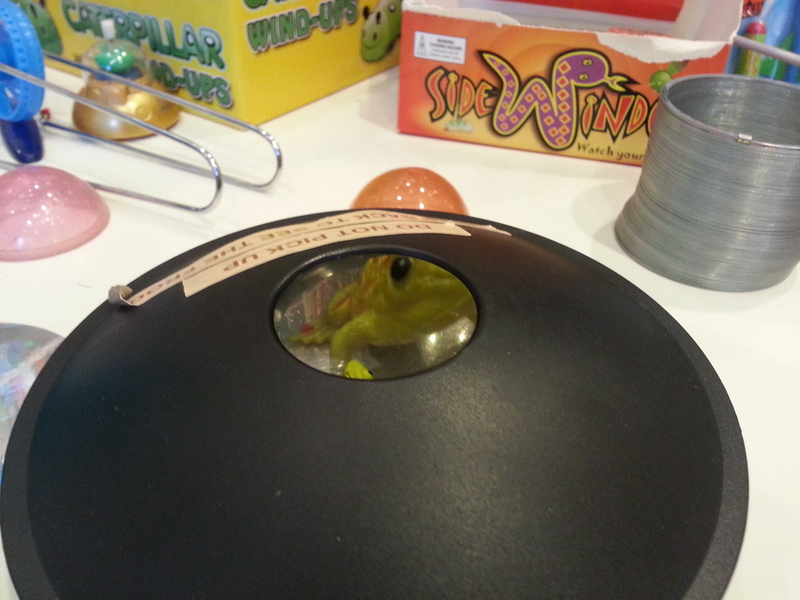 The little toy frog would appear right on top of the Mirascope! It was an illusion! The store owner wanted to show the Mirascope and how it worked. So he put it out on the table with all the other toys. 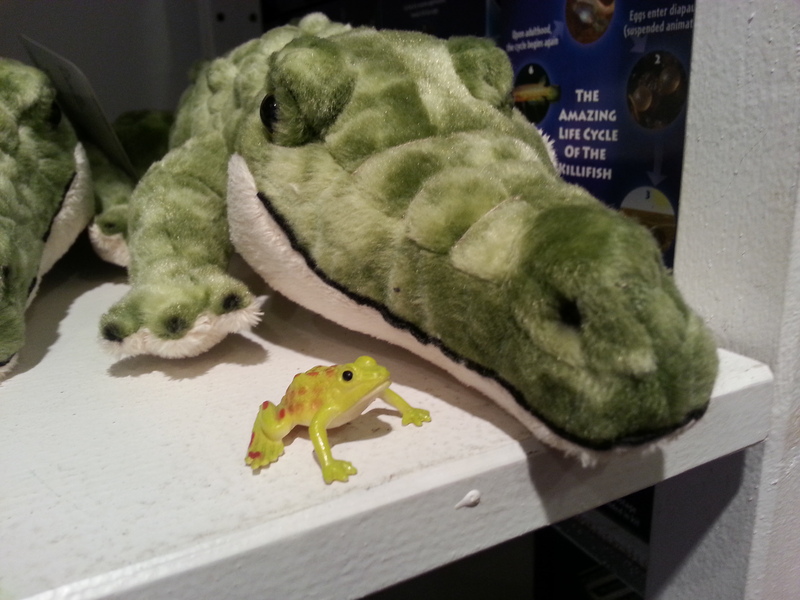 But the store owner didn’t think the frog would stick around. “Some little kid will doubtless walk out with it in his pocket, his parents won’t even know he took it!” he said “So many kids pick up the Mirascope, and many of them pull out the frog, not knowing they aren’t supposed to!”. The store keeper was wrong. 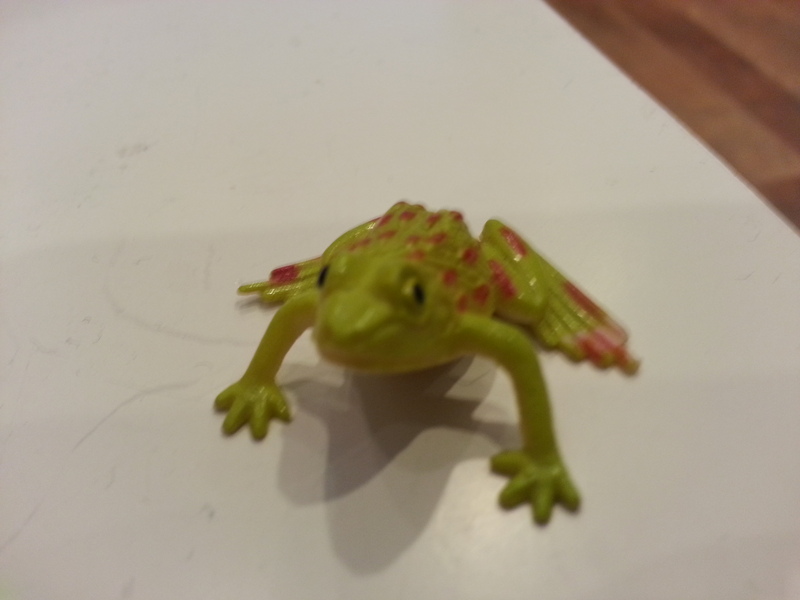 The little toy frog did not leave the store. But he did have a lot of adventures! 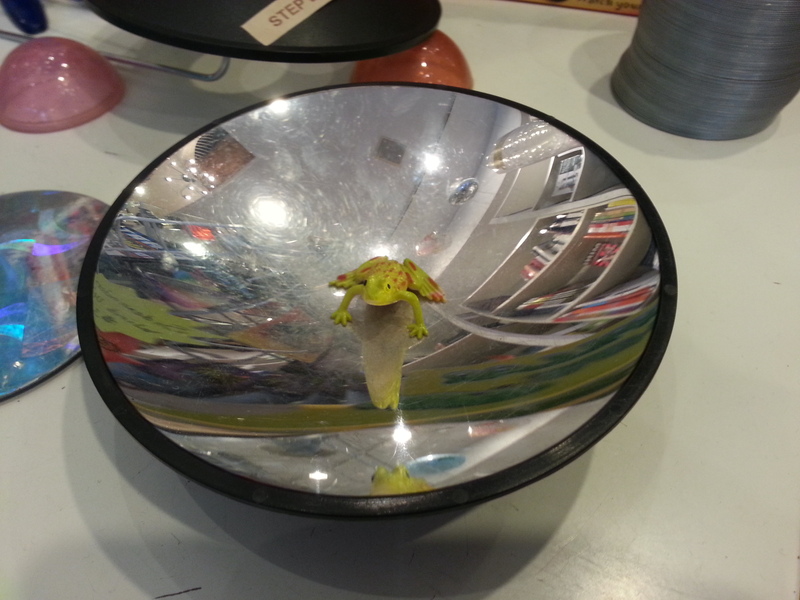 Because while luckily no small child walked out with the little toy frog, they did take him out of his home in the Mirascope! And the little toy frog ended up in some strange places! And met some strange friends! And so it happened again and again. Many times when the little toy frog went on these adventure the shop keeper thought the little toy frog was gone for good. 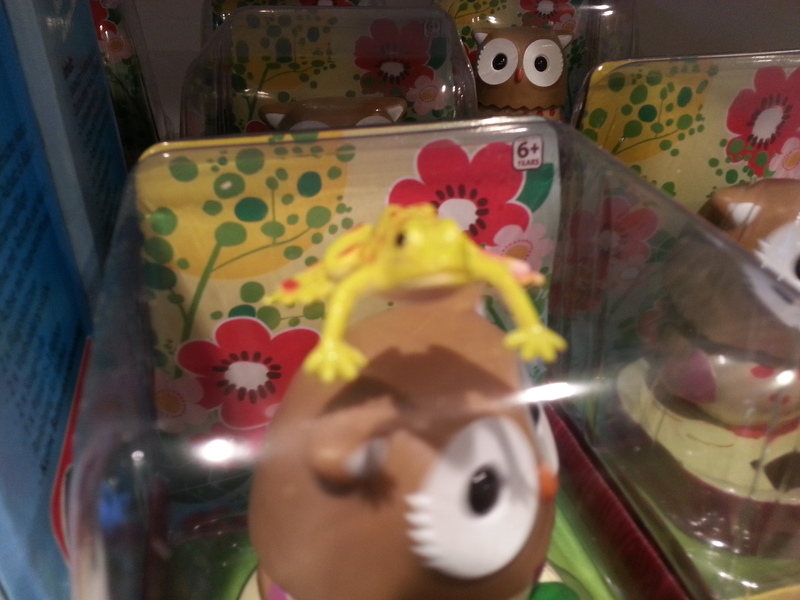 The little toy frog would be gone for days and the shop keeper thought that the little toy frog had left for good. But then the little toy frog would turn up in the strangest places! And then he would go back into his home on the Mirascope and stay until his next adventure! Do you want a Mirascope? 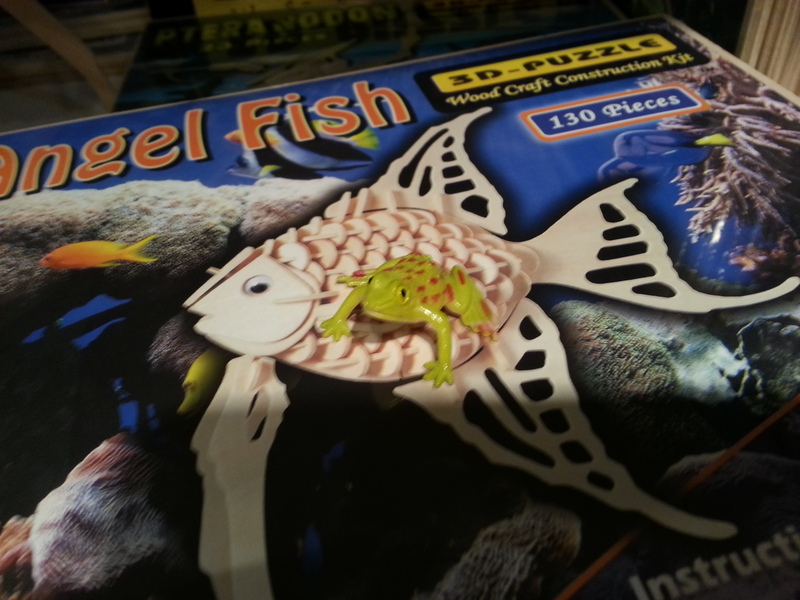 It comes with its own little toy frog! We’ve carried Laboratory Baths, both Dry and Water for quote some time now. Laboratory Baths are used to bring samples up to a certain temperature by immersing them in a controlled temperature bath of water. Baths are either ‘Water’ where the samples are immersed directly into the water (in test tubes or other containers, mind you) or ‘dry’ where the samples are in heated blocks. Laboratory Baths are much more controlled than using other methods such as boiling water or a hot plate. The temperature is much more controlled and allows for proper reactions or growth of the samples. Walter Water baths come in 2 Liter, 4 Liter and 8 Liter (shown) sizes. These Water Baths feature intelligent temperature controller with PID program, digital tube display, over-temperature protection, stainless steel inner container and roof and anti-corrosion exterior , and +/- 1 C sensitivity. These Baths are excellent for educational facilities, or for start-up labs on a budget. Want to buy Laboratory Baths? There are plenty of other models and the kit has lessons on Dynamics, Electric moors, worm gears, crank gears, madnril screws, and much more! The Mechanic & Static Engineering kit is powered by a 9V battery (not included) and includes the motor, switch & battery tray. This is an excellent kit for the classroom or for kids who love to build aged 9+! Want to buy the fischertechnik Mechanics & Statics Kit?